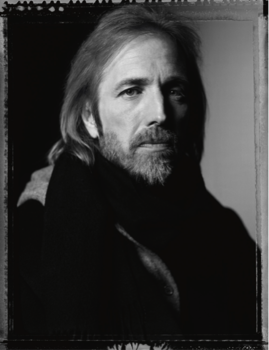 I had the honor of writing the track-by-track notes for the box set Tom Petty: An American Treasure (Reprise, 9/28), a collection of previously unreleased songs, alternate takes, deep cuts and live performances that cements the beloved artist’s range and brilliance as a songwriter. The first excerpt from the notes is the entry for “Here Comes My Girl” from the Heartbreakers’ 1979 breakthrough, Damn the Torpedoes extended by box set producer/engineer Ryan Ulyate so that we’re now able to hear what happened after the fadeout. The second is “Gainesville,” recorded in 1998 during the sessions for Echo but unheard until now. Campbell had completely forgotten about the autobiographical “Gainesville” until Ulyate pulled it out of the vault. “That was a dark period for us in a lot of ways, so that song just slipped under the carpet somehow, but I think it’s valid,” he says.